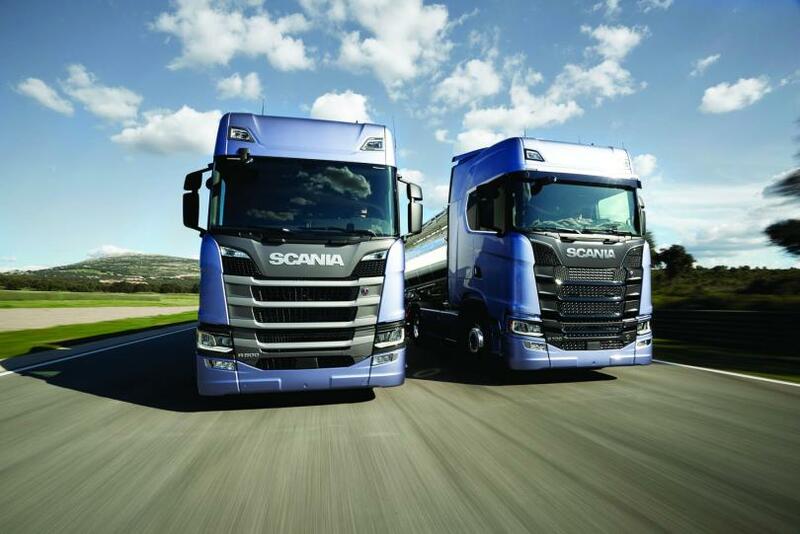 Swedish truck maker Scania has launched its much awaited new-generation truck ranges at Paris last night. The all-new ‘S’ and ‘R’ models are said usher in a new era of spacious and efficient trucks from the brand. With 10 years of R & D and an approximate INR 16.02 crore investment poured in, these new trucks feature redesigned cabs, newly-developed engines with greater efficiency, and enhanced aerodynamic performance and safety. 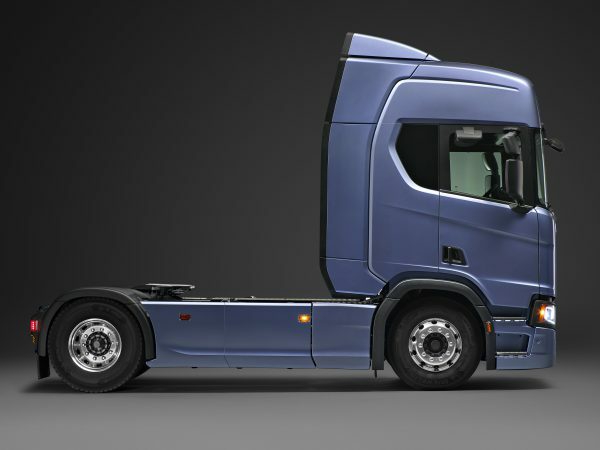 The top-spec S model line-up is claimed to be 5% more efficient than Scania’s last launched ‘Streamline’ models (2013). The company claims that the new trucks have been subjected to rigorous 10 million kilometres of testing, and the global launch will take place in 5 phases, adds the company. Scania’s new trucks boast enhanced aerodynamic performance and safety. To begin with, both the R and S models appear refreshingly new and throw stunning looks. The S-series, now the largest truck in Scania’s entire range, boasts a host of drag-reduction elements like the three adjustable air deflectors between the cab and the trailer roof, smaller gaps between the lights and other body components up front. The windshield is mounted upright, while the integrated auxiliary lights and end-marker lamps are placed above it. The rear-view mirror clusters are also aerodynamically-enhanced to optimize air flow. The R-series adopts similar design cues like its ‘big brother’ on a smaller anatomy. 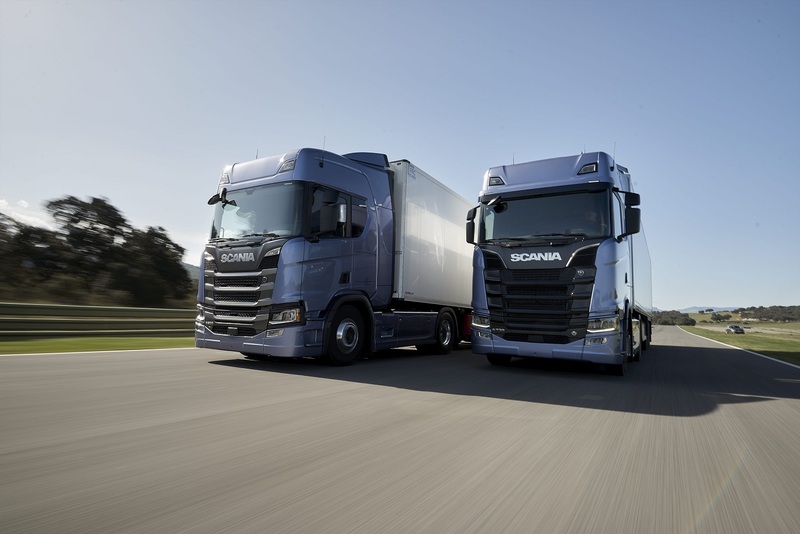 Scania claims that these new trucks are the most aerodynamic trucks in the market as of now. Scania’s modular construction makes repairing the cabs easier in the event of an accident. Repositioned front axle and lower centre of gravity in the new trucks must optimise braking, handling and stability, thereby enhancing safety. Moreover, the cabs are equipped with rollover curtain side airbags – first of its kind in a cargo truck. 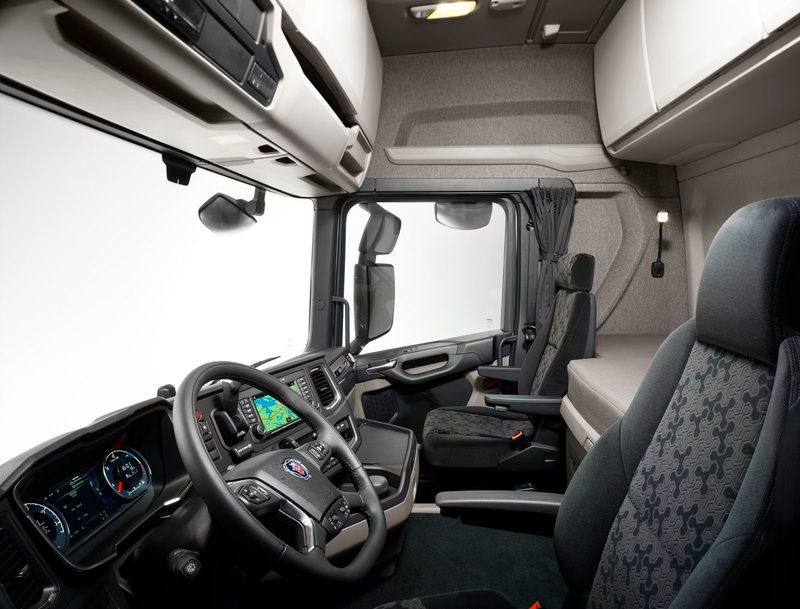 Inside the cabin, Scania has completely tweaked the interiors with extra space for the occupants, improved driving position along with greater road visibility and comfort. The new multi-functional steering wheel and pepped-up instrument cluster with digital driver information displays are classy. The dashboard layout and ergonomics aim for optimum driver comfort and utility. The cab is split into zones, with different functionality and lighting. Scania’s engine line-up will range from 410 hp to 730 hp output depending on the truck model. A new 13-litre in-line 500 hp unit with Selective Catalytic Reduction (SCR) has been introduced in the range as well. While the flagship 15.6-litre V8 unit will deliver up to 730 hp, using a combination of SCR and Exhaust Gas Recirculation (EGR) technology. The engines now feature new diesel injectors, revised combustion chambers, and an improved cooling system. Lay shaft brake in the ‘Opticruise‘ gearbox cuts gearshift times by 45%. All engine platforms also get an overall 3% fuel consumption reduction. Further, the adaptive cruise control system can now be used to make driving in slow-moving queues easier, thereby aiding consumption reduction. The prototypes of the new-generation trucks have been tested for 10 million kilometers by the company. 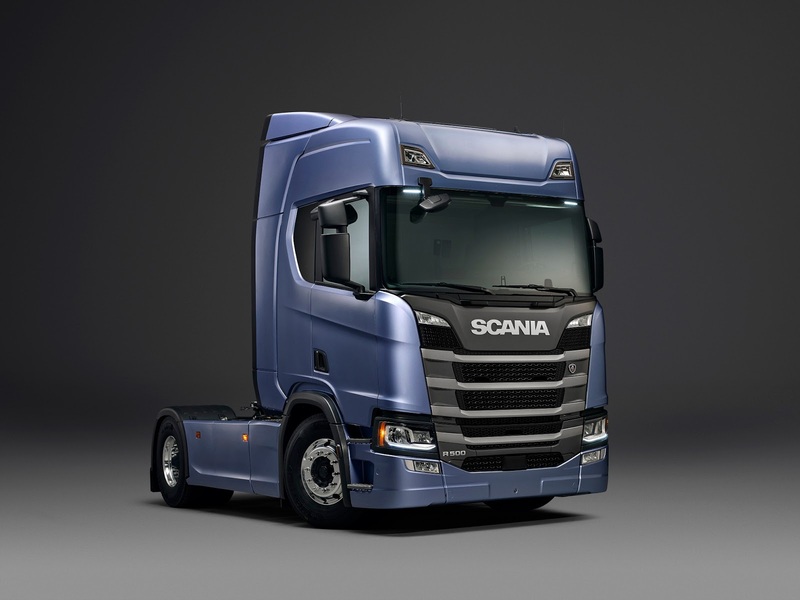 The new trucks will go on sale across global markets in five phases, with the production carried out at Scania’s Södertälje plant in Sweden. The company will continue to sell its other P-, G– and R-series trucks in the market along with the new models. Next, would you like to read more on Scania, Trucks, or Commercial Vehicles? ?